St. Mary’s residents enjoy the privacy of their own personally decorated apartment, and the presence and companionship of having nearby friends and neighbors with whom to share experiences. St. Mary’s has 78 beautiful suites and apartments for assisted living, including 20 suites in Grace Garden Memory Care Community. 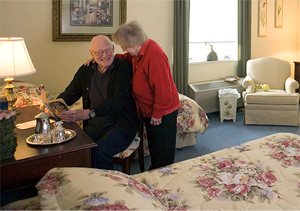 Residents receive the care and support they need, and the respect and dignity they deserve. Our multidisciplinary team – including professionals in nursing, medicine, recreation, nutrition, housekeeping, social work and administration â€“ customizes a care plan for each resident. Other important daily routine supports can be arranged as needed from our experienced, compassionate staff. Our services include restaurant-style dining, most utilities, and housekeeping services, as well as round-the-clock staff and emergency call response. Residents have access to transportation, recreation, health care, nutrition and spiritual support. Catholic Mass is offered daily in our beautiful chapel. To help residents get the most out of life, we offer an ongoing and engaging calendar of activities, including outings throughout the region – assuring days as full and enjoyable as each resident chooses. 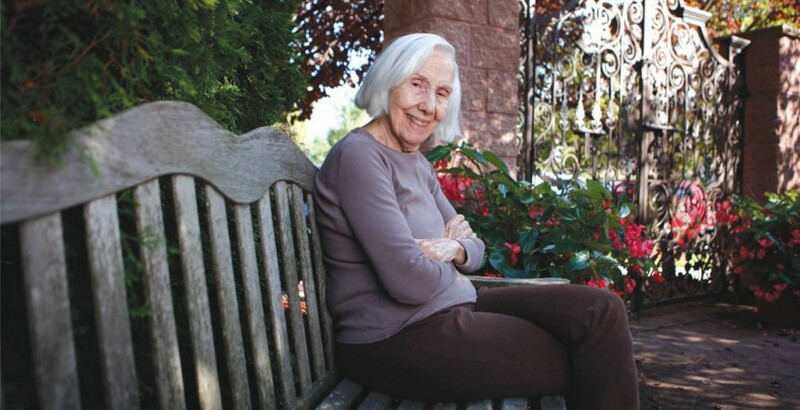 Grace Garden at St. Mary’s Assisted Living helps residents with moderate to moderate-severe dementia maintain their sense of independence, dignity and self-worth, in an assisted living setting. This offers residents an interesting, joyous life that helps them feel good about themselves. Our failure-free approach empowers them to do all they can do, without negative feelings related to their cognitive limitations. Grace Garden residents thrive in a setting where they can still learn, grow, and have a social life, but with added support. Engaging activities, programmed by a dedicated activities coordinator, are a central part of life at Grace Garden. Residents enjoy trips to shows, museums, animal shelters, and many other destinations. Programs are offered that feature visiting veterans groups, gardening and other topics. A prayer group meets regularly to discuss spiritual topics. The staff at Grace Garden receive an advanced level of training, in affiliation with the Hearthstone Institute, that sharpens their skills for supporting residents with Alzheimer’s and related dementia. Resident safety and security are paramount at Grace Garden. 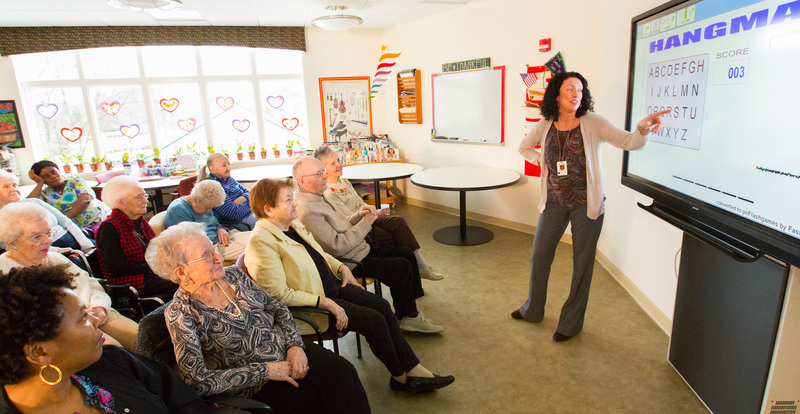 The unit has its own 24-hour supervision, with a higher ratio of staff-to-residents than regular assisted living. Grace Garden access is secured, and Wanderguard bracelets are provided for residents who need one. Grace Garden staff meet with the families of residents to share information that can help make the resident as comfortable and safe as possible. We welcome your inquiries about Grace Garden and encourage you to contact us to schedule a visit to our comfortable and safe memory care environment.